Go-Live time 2019/6. - nexxar lab. - nexxar lab. 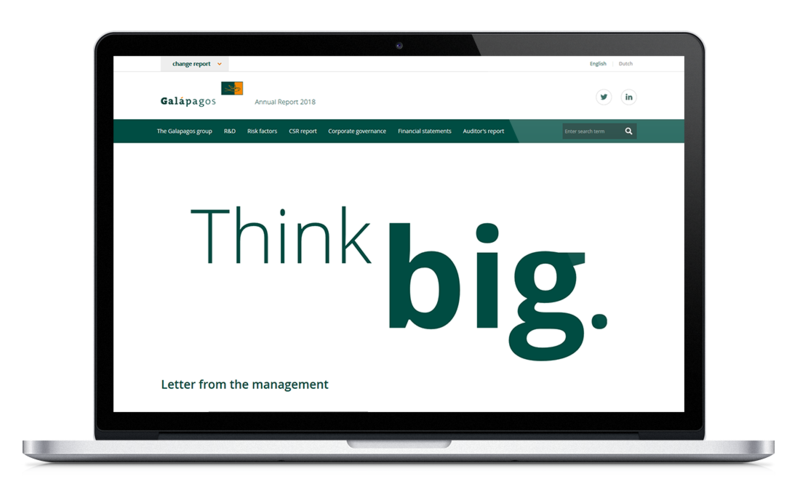 Galapagos chose a bold motto for this year’s Annual Report: Think Big. In order to explain how the company raises the bar and achieves its aims, Galapagos publishes an elaborate magazine and includes a CEO video on the landing page characterised by a quite personal touch. The sustainablity chapter is expanded and part of the top navigation. 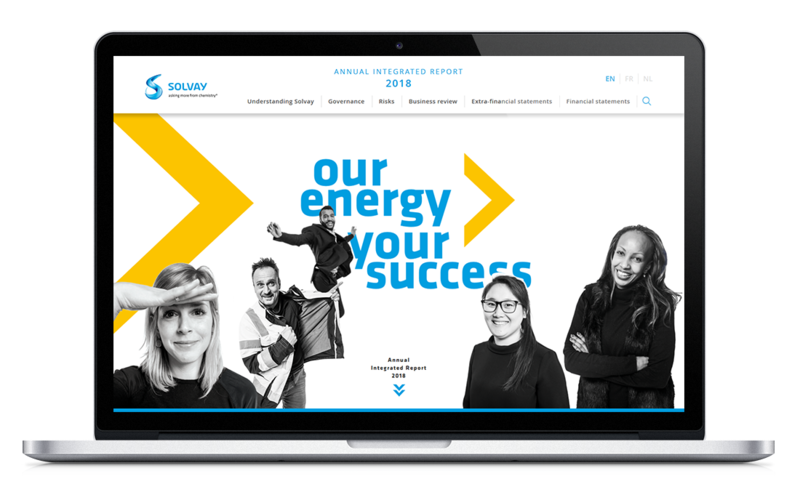 For Solvay’s Intergrated Annual Report 2018 we redesigned the landing page introducing a new photographic concept which is using engaging pictures of Solvay employees throughout the report. We implemented arrows, bold colors and a minimalist background. The magazine showcases the relationships the group has built with its stakeholders, highlighting how Solvay engages with them to create value. Also new: the redesigned, interactive value creation model. 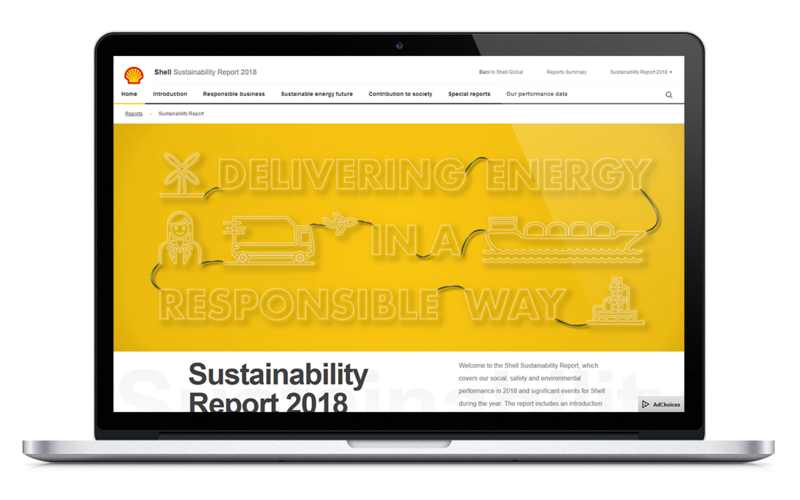 Once again Shell decided to build their Sustainability Report using nexxar’s Online First approach. This solution puts the digital version at the very centre of content creation. This year’s report has been completely restructured and includes the “special reports” chapter which focuses on case studies. Additionally, it contains new graphics and an interactive SDG overview. 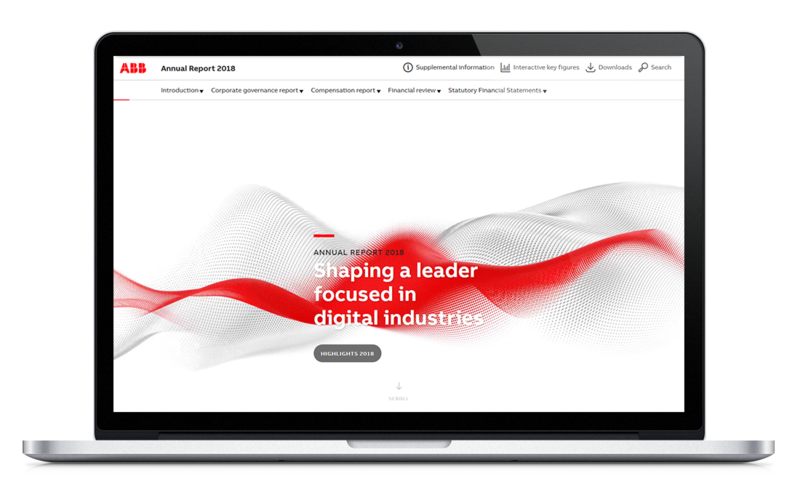 For this year’s Annual Report ABB wanted us to further expand on last year’s approach with overall improved navigation features. The scrolling progress bar enhances navigation and facilitates the natural flow of information. The report also includes nexxar’s advanced toolset such as compare-to-last-year and interactive chart generator and is also offered via iPad and Android app.